Which social media platforms are you planning to use to stay updated on the Games? The graph shows data on the social media Millennial women from the United States were planning to use to stay updated on the Games. 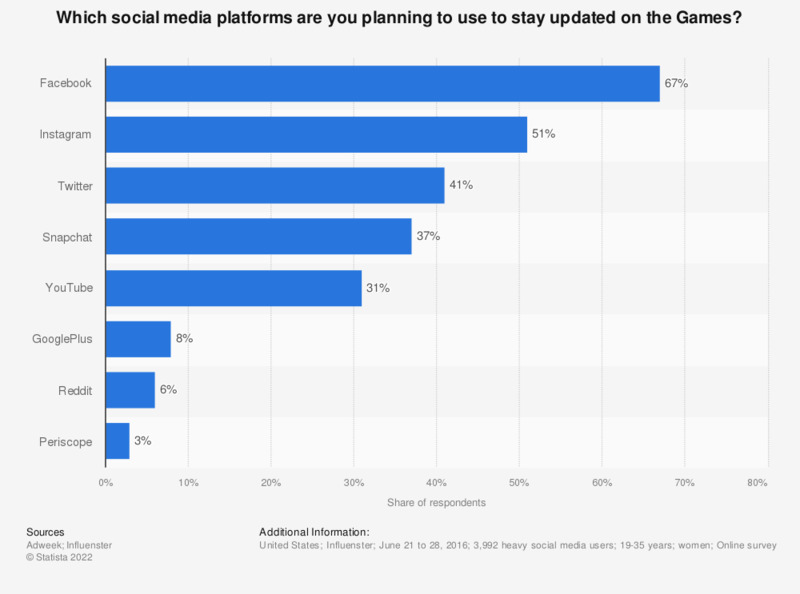 During the June 2016 survey, 67 percent of respondents stated they were going to use Facebook to stay updated on the Rio Games. Which Team USA athletes do you follow on social media?